We believe the air you breathe should be as healthy as the food you prepare. The new Panasonic WhisperHood IAQ™ range hoods use ultra-quiet ventilation technology to quickly trap and remove moist, contaminated air from the source without disturbing your dinner conversation. For a healthy home and healthy living, upgrade your kitchen with an elegant and functional design that improves indoor air quality in the busiest room in your home. At the TOH 2018 Idea House, we’ve incorporated the latest technologies for an efficient, healthy home, including Panasonic’s newest kitchen range hood—a perfect combination of high-powered ventilation with ultra-quiet operation. Here’s why the WhisperHood IAQ might be right for you. THE OPEN AND EFFICIENT layout of the TOH 2018 Idea House kitchen was designed for cooking and entertaining enthusiasts. And even if you’re not exactly a pro behind the stove, the kitchen will still become the epicenter of your home. But however delicious your dinner may smell, the very act of cooking releases harmful pollutants that compromise your indoor air quality. That’s why it’s so important to implement proper ventilation measures, especially for those with allergies or breathing issues. 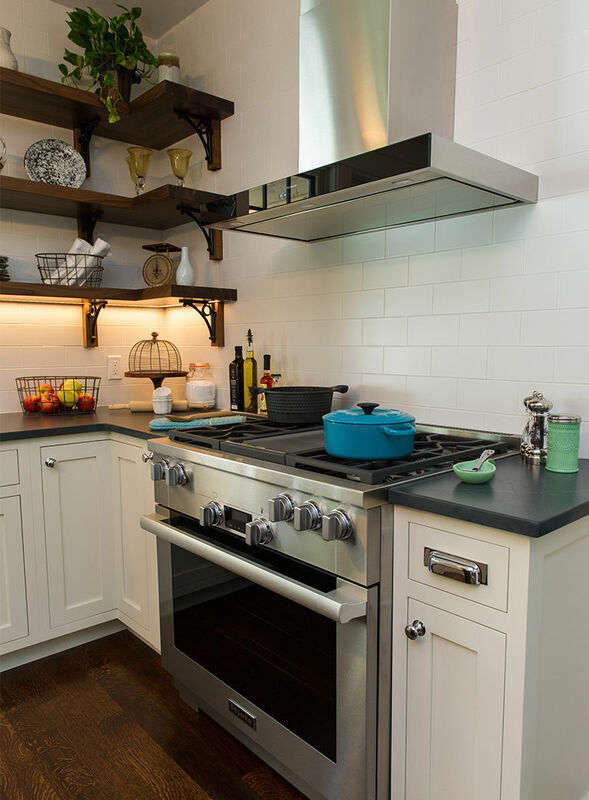 A powerful kitchen range hood is invaluable. The problem with most range hoods is that they tend to be noisy and disruptive, discouraging frequent use. Panasonic’s new WhisperHood IAQ provides quiet operation, allowing families to enjoy conversation, while it quickly and effectively clears the air. Panasonic’s line of indoor air quality solutions have been thoughtfully designed with the health of your home—and all of its occupants—in mind.